"Floor traffic continues to be strong," Fred Diaz, Nissan Division vice president for sales, marketing, service and parts, said. "The sentiment from dealers is very optimistic." NASHVILLE -- Small vehicles continued to pull Nissan into bigger sales in July, with the Versa, Sentra and Rogue leading the way. Nissan Division posted U.S. sales of 101,279 cars and trucks for the month, up 17 percent from July 2012. The results were a July record for the brand and its 5th consecutive record month. The subcompact Versa, which saw the July launch of a redesigned Versa Note hatchback, marked a 21 percent increase over July 2012. The Sentra compact, which also was recently redesigned, rose 16 percent in July. Sales of the compact Rogue crossover rose 29 percent in July to 16,992 — a notable feat considering it is the last months of its model cycle. A redesigned Rogue will be introduced late this year. "Floor traffic continues to be strong," reports Fred Diaz, Nissan Division vice president for sales, marketing, service and parts. "The sentiment from dealers is very optimistic. They're very encouraged about how our core products are resonating with consumers." Diaz says Nissan's incentive spending for the month was lower than in the past, but he believes some manufacturers are beginning to turn up the heat on incentives. "But the industry is also at the cusp of the year where we're seeing the model-year sell-down, which had an effect on July and will continue to have an effect for the next month or two," he says. "We'll know how much of it is incentive-based in the next 30 to 60 days." 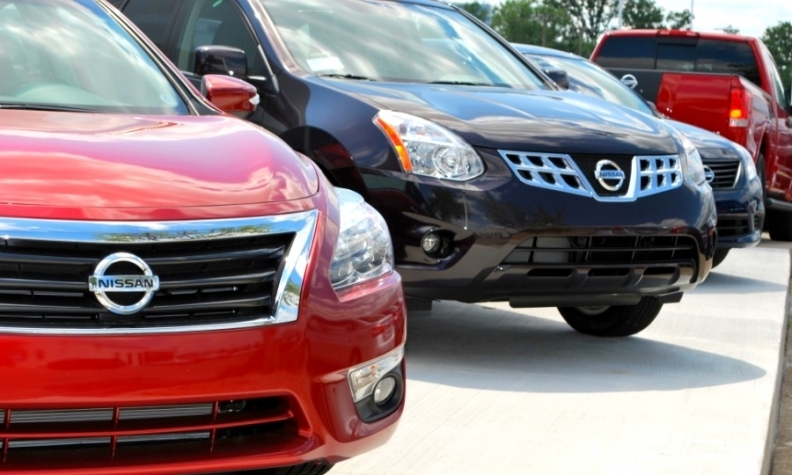 Altima sales also were strong for the month, rising 11 percent to 29,534 units. The mid-sized Altima was redesigned one year ago, but Nissan was still ramping up production on the new generation at this time last year. The recently redesigned Pathfinder crossover rose by 235 percent for the month to 8,428 sales. Sales at Infiniti plummeted by 33 percent in July as the luxury brand prepared for a changeover on its biggest volume product, the G37. Although the JX crossover posted a 37 percent increase to 2,747 sales for the month, G37 sedan sales fell by 58 percent to 2,580. The G's replacement — the Q50 sedan — goes on sale Aug. 5.